My daughter turned 12 this year. It’s amazing how much can change in just one year. Last year I put together a gift guide for 5th grade girls and while a lot of those gift ideas still hit the mark for her, she’s got a whole new set of interests now that she’s in the 6th grade. 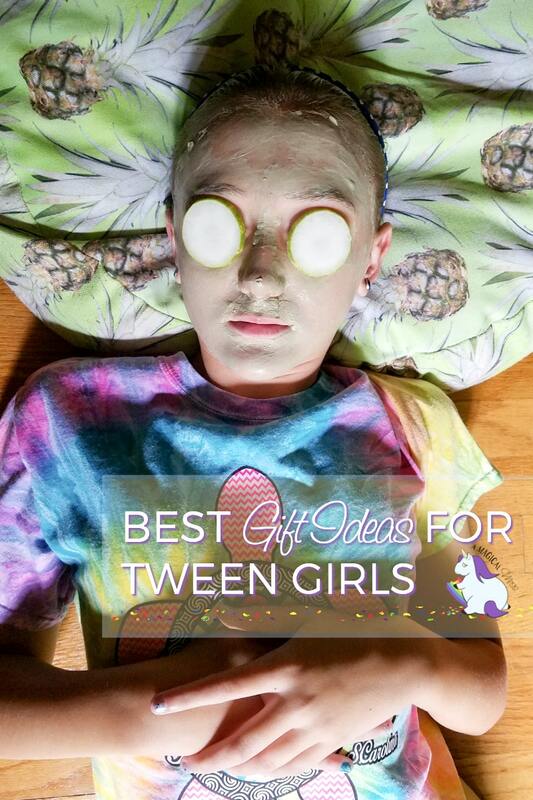 Check out these gifts for tween girls that she and her friends help me put together. You might be under the impression that socks are like the worst gift ever. But times have changed. Kids now view socks like they are just as important as shirts. So, fun socks are always safe a gift. Accessories like wallets, scarves, and jewelry are all great gift ideas for tween girls too. Even better if they have cats, unicorns, sloths, or Pikachu on them. Oh, and I predict dinosaurs are going to be really in for a while too. These are the most-wanted video games on my tween girl’s list. We have Terraria on other systems but she wants it for the PS4. So, the most important thing to do when buying for a tween, is to find out what gaming systems they have and then buy the games accordingly. I love these three because they have a lot of educational components and encourage creativity. Let’s not forget about actual games we can play with people in real life too. The era of games in boxes is not over! In fact, it’s evolving. Have you seen or heard of Speak Out! yet? It’s freaking hilarious. Check out our videos from this post about birthday party games for teens and tweens. Or how about books to read together?! When was the last time you did that with your friends? Chesney and her friends love to read funny jokes to each other so this book is a perfect gift idea to round out all that time spent on devices. Speaking of books, here are a couple Chesney recommended. She’s read them and really enjoyed them. The American Chillers series is one of her all time favorites. One of the best and most talked about gifts Ches has received is a subscription box of yummy snacks and movie tickets. The gift of a girl’s night out is always awesome. She loves to go to a movie with a friend and yes, I let them sneak snacks in to save money. Does anyone really NOT? We’ve tried several subscription boxes for snacks and this one is the best and most customizable. Don’t forget the movie tickets! Whatever you decide to buy for tween girls, make sure you send a gift receipt when possible and ask those closest to them for advice if you’re unsure. This is the beginning of the age of expression and it’s really fun to see their personalities shine. 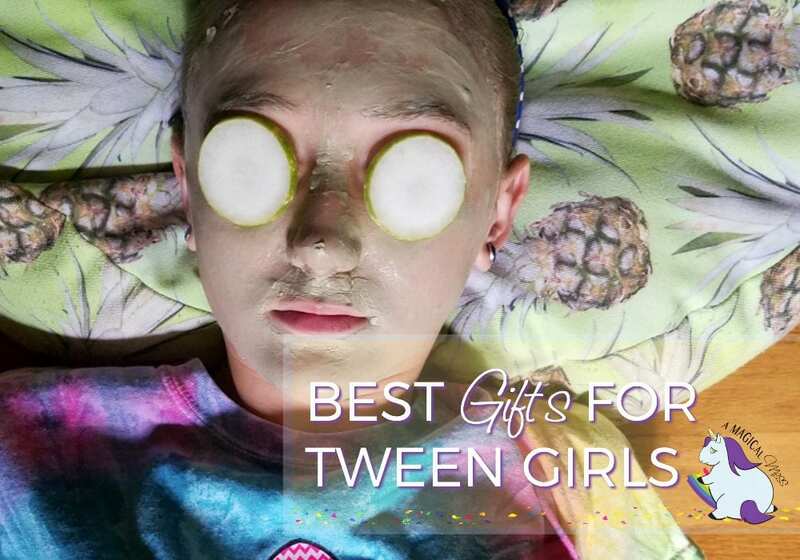 What gifts for tween girls do you have in mind to buy? I like fun socks for everyone. Good ideas here for girls. These are all great ideas. I would love those socks myself! I even love so many of these items! The cat earrings and scarf! What a great Holiday gift idea. I would love to get that for my niece. She loves her cat and this would be a great gift to give her. I bought my niece some pretty cool looking headbands and some nice notebooks.